The fourth installment of the Coupon Commandment series brings us to a very important topic that is easy to forget in the new found world of excellent deals…. I am going to venture a guess that for most of you, you probably don’t think of yourself as a professional shopper. Though sometimes I feel like it’s a job…but that’s a different story. It is important to remember when couponing, to act in a manner that is both civil and professional. I don’t mean that you need to be stuffy or act like someone you aren’t. What I mean by ‘acting professional’ is simply that you should be on your best behavior. For example, let’s say a cashier is being rude to you, or is saying your coupons aren’t valid when you know they are. This situation can be very stressful, especially if an entire shopping trip’s budget is on the line. However, I cannot stress the importance of stopping and taking a breath. Blowing a hissy fit at the register or unleashing on an unruly cashier is not only going to wind up making YOU look bad, but it’s also going to leave that store, as well as other customers with an unsavory image of couponers. 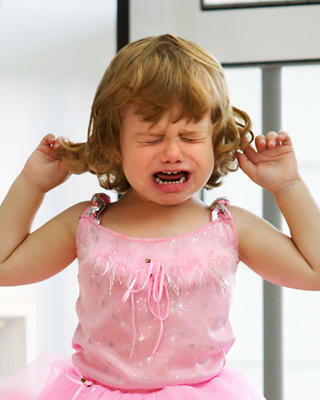 Grown up tantrums aren’t as cute. There was recently an episode of the popular TV series Two Broke Girls where the plot focused around the girls getting introduced to couponing. The show goes on to portray the girls getting into a screaming match (as well as violent cart-bashing) with a fellow couponer over a deal on free cake mix. While it may be funny to watch on a show, this sort of behavior is unacceptable in the real couponing community. People already have many preconceived notions of what a couponer is or is not. We don’t need to be adding fuel to the fire. Professional behavior also includes not clearing shelves (taking tons of an item and leaving none) as well as stealing an entire tear-pad of coupons, or making a huge mess of the shelves where you are shopping. Again, it is important to maintain a positive image of couponing for yourself as well as the rest of the community. Some people might say they don’t care what others think of them, and that’s fine, but be a good sport for the rest of your fellow bargain hunters. I’m not saying you have to do your hair and makeup to go grocery shopping, and walk around like some sort of British royalty. You don’t have to be Kate Middleton…let’s not get carried away. I just don’t want to see or hear about anyone acting like some Jersey Shore diva in the checkout lane, having a conniption over a couple coupons. If things aren’t going your way at checkout, try politely asking to speak to a manager (if nothing is progressing with the cashier) or else simply take your purchase to another register. If all else fails, politely explain that perhaps something isn’t working out the way it should, and that you will return another time after you’ve looked over your coupons. Go to a different store if you have to. No deal is worth having a meltdown over. The key words I want you to take away from this are POLITE (even if the cashier is not!) and professional. Couponing might be a little bit of work, but it should also be FUN to you. If you get all bent out of shape, you will miss out on the fun of couponing, and may want to reconsider your priorities!